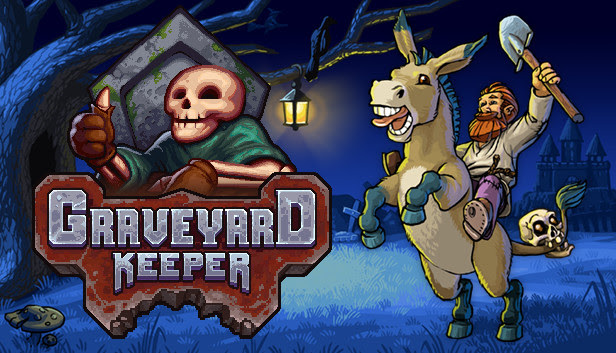 tinyBuild Games have officially announced that their Cemetery Management Sim Graveyard Keeper is coming to the Nintendo Switch. The game will also be playable at PAX East this weekend… in a coffin. That’s right, you can play a demo of Graveyard Keeper at PAX East in a coffin. To help explain, we have the official announcement from tinyBuild themselves. Graveyard Keeper, the morally questionable medieval cemetery management sim, is finally coming to Nintendo Switch very soon. And we’re showing it, playable on device and in a coffin, at PAX East in Boston this weekend! I made a short video demo-ing just how comfortable it is playing in a coffin. I’ll just fill in the rest of this press release with absolutely useless facts about coffins. It worked and we got the coffins to the showfloor. Now, the problem is that bodies are typically suspended on metal springs within the coffins. These are not comfortable at all. We had to take those out. These horizontal springs are also what allows you to pick up and carry the coffin around — the springs are tied to the strenghtened metal construction that goes directly into the handles. So unfortunately I cannot be carried around in this coffin around PAX. Makes me sad.